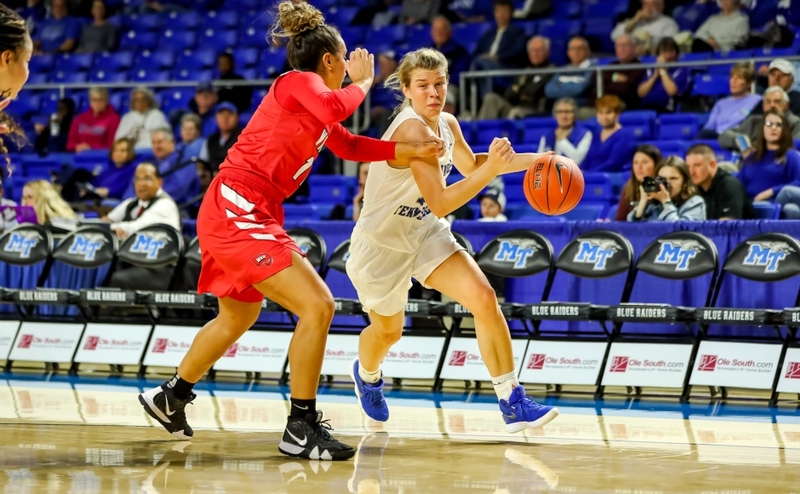 The Middle Tennessee Lady Raiders (15-9, 7-4) won a nail-biting contest against the Florida International Lady Panthers (6-18, 3-8) by a final score of 63-59 on Saturday evening. 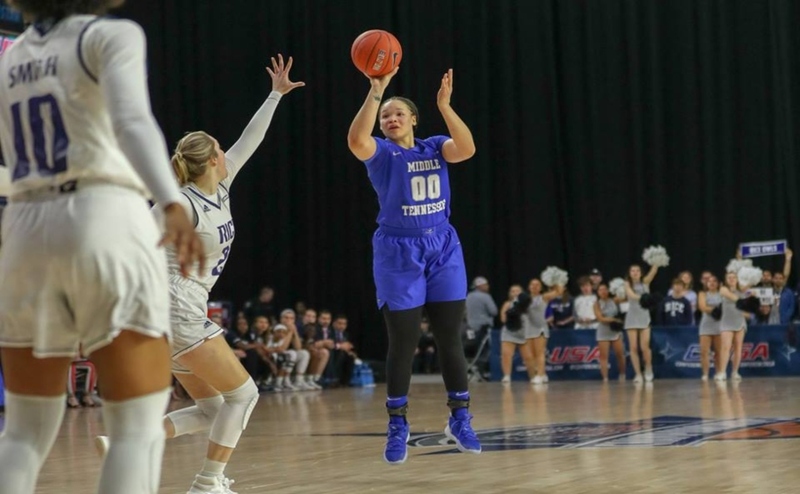 The Lady Raiders scored 28 points in the first half of the game, and shot 29.4 percent (10-34) from the field and 33.3 percent (5-15) from 3-point range. 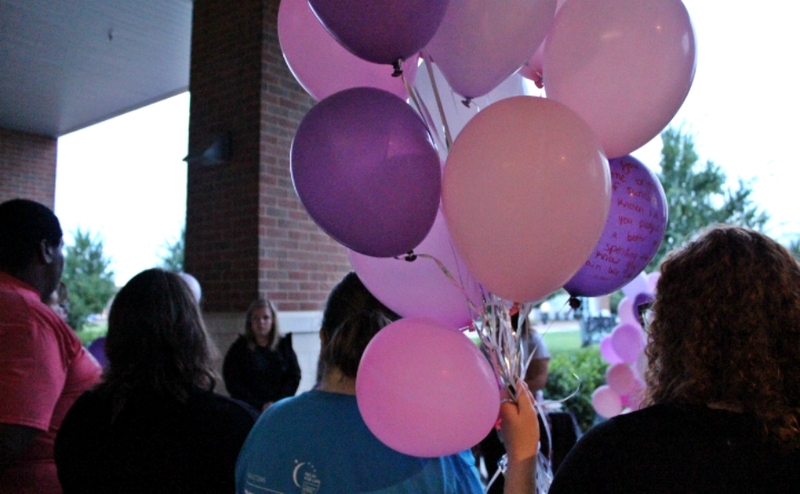 They were up by one at halftime and looked to keep up the pace in the second half. The two teams traded baskets in the third quarter and heading to the final frame of play. 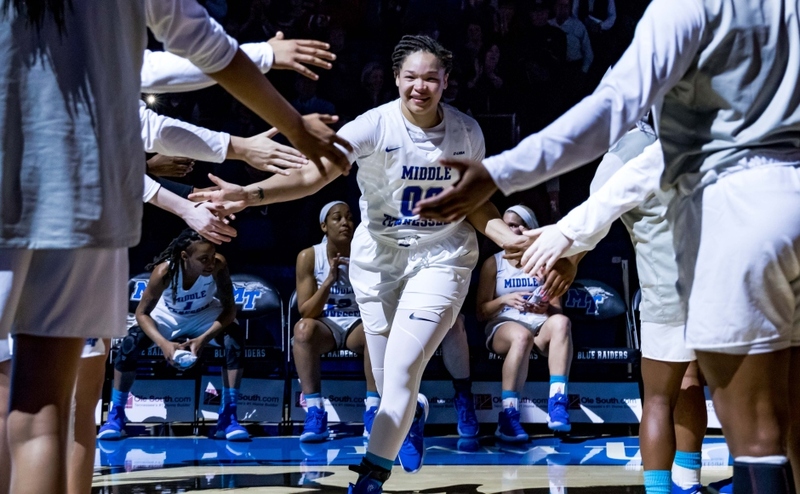 Middle Tennessee was able to find themselves up by a single point going into the fourth. They had a six-point lead with four-and-a-half minutes left in the game, and Florida International was on the comeback trail. It ultimately wouldn’t be enough, however, as the Lady Raiders held on for a 63-59 victory over the Lady Panthers. While their record may suggest otherwise, the man in charge knew that his team escaped with a win over a solid team. Junior Alex Johnson had a season-high 24 points on eight shot attempts in 37 minutes. 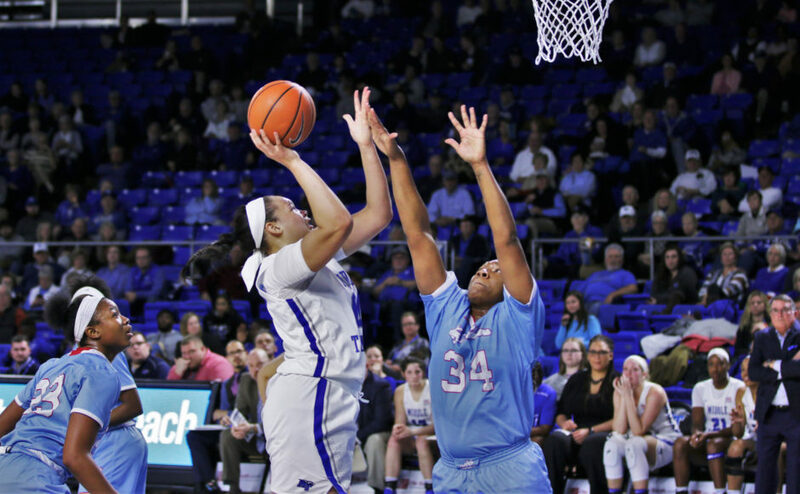 She was also efficient in doing so, as she shot 44.4 percent (8-18) from the field. Senior Abbey Sissom added 13 points, four rebounds, four assists and only one turnover in 40 minutes of play. Junior guard Jess Louro was solid as well, as she scored 12 points on four three-point makes. Although Johnson made a free throw to end the game, it still wasn’t a good night at the line for the road team. They shot 56.5 percent from the line while going 23 times the whole game. That percentage is 13.3 points lower than their season average. When they went to the line down the stretch of the game, they only converted on five of their 10 attempts and against better competition, that could be something that hurts them. 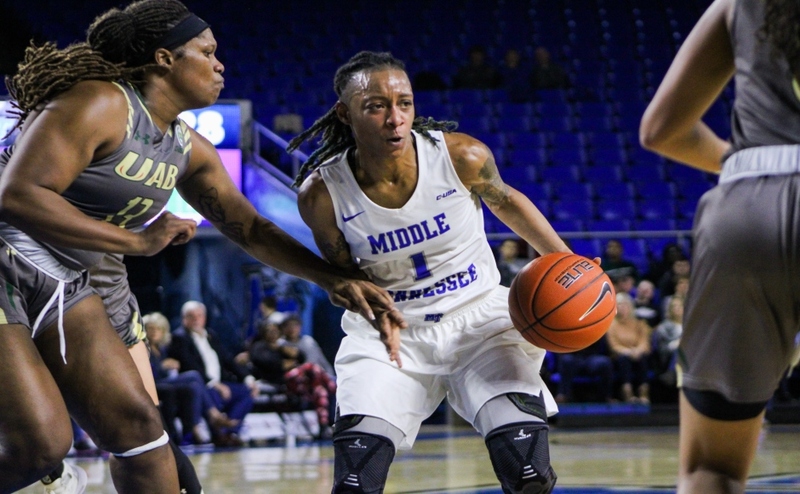 The Lady Raiders will play at Murphy Center on Thursday night against rival Western Kentucky, with tip-off set for 6:30 p.m.